Anarchism is generally defined as the political philosophy that opposes authorities in the conduct of human relations, rejecting the state while advocating non-hierarchical organizations and voluntary associations. This essay draws attention to a variant of anarchism – market anarchism – which has been little studied, but whose relevance may increase due to new technology. There are many strains within current anarchist thought. Anarchist communism advocates the abolition of the state, capitalism, wages and private property, and favours collective ownership of private resources. It calls for direct democracy, and a network of voluntary associations and workers’ councils guided by the principle “from each according to his ability, to each according to his need”. Anarcho-syndicalism is a practice of left-wing anarchism through revolutionary unionism in capitalist society. Anarcho-capitalism advocates the elimination of the state in favour of individual sovereignty, private property, and open markets. Its ideal society sees law enforcement, and courts operated by privately funded competitors rather than by a centralist state. The various modern currents of anarchism have often been at odds among each other and have rarely been particularly successful at establishing a particular real, functioning anarchist order. Mature industrialism, which emerged early in the 20th century, was a paradoxical and very unstable combination of market and command economy. The market economy and the forces of competition created the dynamic framework that led the development to mature. Large factories were veritable command economies in miniature. Organizational principles were strictly hierarchical and clearly inspired by military organizations. The standardization of products and Taylorism as management ideals became the central feature of the development that led to the definitive production machine, the famous car factory of industrialist Henry Ford. The age was characterized by high transaction costs, difficulties of disseminating information and the centralization of clearly definable knowledge. Left-wing anarchism fared badly in comparison with social democratic unions, which were able to combine the strength of labour monopsony (a market dominated by one seller) with political power over the state. Anarcho-capitalism fared badly in the face of legal complexity of government bureaucracy, while corporations thrived in collusion and their regulatory capture of government institutions. Alongside these currents of anarchism there has long been a smaller line of thought: individualist anarchism, which can also be called “market anarchism”. Market anarchism is a belief centred on mutual exchange, not economic privilege, advocating freed markets, not capitalism. Social justice is mainly seen as eliminating the governmental privileges that rigs the market in favour of capitalists while retaining a focus on building voluntary institutions such as cooperatives. Market anarchism pronounces itself a radical liberation while empowering people to eliminate structural poverty, and redistribute economic and social power. It differs from left-wing anarchism by its embrace of markets, while setting itself apart from the anarcho-capitalist view of freedom as simply being present day corporations and capitalist structures, minus the state’s taxes and regulations. The powerful market position of current corporate entities is quite often highly dependent on the subsidies provided and control delegated by the state. Market anarchists often criticize the fact that corporations are able to block creativity and innovation by the privilege inherent in patent and copyright laws. In their view, markets are mechanism for cooperative collaboration, entrepreneurship, and often economic self-sufficiency. Private property is often seen to be created by government action to limit access from the customary owners of a resource to favour the privileged classes. Similarly market anarchism sees the 20th century consumtariat losing power over its own consumption through debt and lack of control over technology. Modern technology is enclosed and expert-driven. It is user friendly, but its “black box design” is not open to adaptation or changes. The maker movement shows a different way. It provides an alternative as a globally scattered community of Do-It-Yourself enthusiasts, hackers, researchers, designers and contractors, making everything from embroidery to robotics, working through generic designs, and open code. 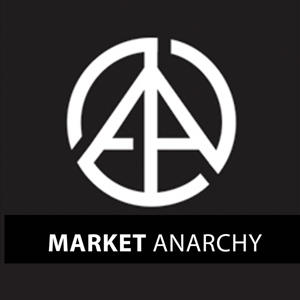 Market anarchism might become an ideology more apt for the 21st century. The internet and many open ended technologies have provided the world with relatively many non-rivalrous goods. Rather than a “tragedy of the commons”, where individuals acting independently and rationally according to self-interest behave contrary to the best interests of the whole group by depleting some common resource, a “comedy of the commons” might be possible. The value of the internet increases for the individual user as the volume of available information and connections increases. Additional users make the internet more valuable to all, a development helped by open source software. Today it is possible to share, borrow or rent a wide range of services and goods, from work, residences, vehicles, personal assistants, kitchen space, cooking and finance, clothing and tools. Everything is available in the new sharing economy. The problem is finding someone to share with, at the right place, at the right time. The internet, social media and our constant state of connection has changed this. Mobile apps and websites are easy to scale using cloud services. The apps help users find each other, negotiate, make a transaction with or without money involved and then rate each other for everyone else in the social media to see. It is possible to find someone to share in a much larger area, and it’s easy to bill online or to regulate a gift economy. Consumers own and possess the goods and services exchanged. In combination with the adoption of 3D-printing technology, designs could be downloaded and produced regardless of intellectual property. Economies of scale and standardization are becoming less important than flexibility and adaptability. The 3D-printer technology’s connection to the web means that political debate on copyright and patents will intensify. Designs could be downloaded and produced regardless of intellectual property. After all, the way computer technology distributes content is by copying it, exactly what copyright legislation defines as an infringement. As copyright is enforced by a government in favour of corporations, market anarchism could produce new forms of transactions regarding to ideas. Open data and open-source collaboration are behind much of the innovative programming that powers the internet, operating systems, and software. The open code is developed organically through trial and error contributions to software. Guided by the open source community’s standards, rules, proceedings for decision-making, forms of remuneration and sanction; modern programming might be considered one of the foremost examples of real functioning market anarchy in existence. Direct democratic decision-making is hampered by the complexity of modern deliberative processes. Information Technology can alleviate this by offering clarity to decision processes and exactly quantifying prices and market transactions for goods and services. This includes a much more deliberative use of computer systems and internet of things environments. Transparency is the way of clarifying risks and opportunities in decision making, especially for prioritizing existential risks. Services previously provided by a government might be more efficiently produced on-demand by being pre-programmed into software or into open-source platform for mutual exchanges. Market anarchism sees a connection between economic outcomes and the material prospects for sustaining a free society, either through a ruling class treading down on those who are economically and socially weak or by populists buying their loyalty. A decentralized medium of exchange using cryptography to secure the transactions and to control the creation of new units is certainly one of the more interesting developments from a market anarchist point of view. Inequalities of wealth and poverty can be addressed through mutual aid societies and voluntary charities. The problem of free riders could be alleviated by automatic arbitration systems and through building in a mechanism for providing a basic income in cryptocurrency, as a payment back to the community for using the public distributed ledger: the block chain. Market anarchism has a voluntarist approach in spreading the adoption of its views, which highlights its need for producing viable examples of its implementation. Many users of cryptocurrencies, 3D-printers, or open-source code might never think of their use as particularly political. Its voluntarism might be market anarchism’s greatest strength, while at the same time prove to be its greatest weakness, leaving its networks open for outside manipulation. Technology has no inherent political order, rather it facilitates or debilitates certain features in society upon which political ideas may be dependent. An appropriate description might be “negative technological determinism”, what does a technological development invalidate? Anarchist communism and anarcho-syndicalism might run into problems coming to terms with the changed nature of work and economic activity. Anarcho-capitalism might have difficulties explaining the increasing dependence of corporations on government in order to meet non-monetary competition from voluntary associations in the sharing economy and open-source innovation. Market anarchism is at present a minute ideological current even in contemporary anarchism, but its thoughts and concept of human interaction are not invalidated by current developments to the same degree. In fact it might prove to be a way of thought well in tune to a decentralized, redistributed society. The article above features as Chapter 5 of the Transpolitica book “Anticipating tomorrow’s politics”. Transpolitica welcomes feedback. Your comments will help to shape the evolution of Transpolitica communications. This entry was posted in Book chapter, White paper and tagged Eudoxa, Market anarchism, politics, Transpolitica, Waldemar Ingdahl by David Wood. Bookmark the permalink.